US researchers revealed that after extensive study, they have been able to conclude that burning sections of the heart is a much better treatment option than popular medicines when it comes to patients suffering from an irregular heartbeat condition known as atrial fibrillation. 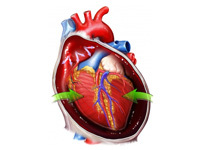 The condition is one of the most common heart rhythm disorders, and presently affects an estimated 2 million Americans. Findings of the new study have revealed that the procedure, christened catheter ablation, is significantly effective in patients who are still in the early stages of atrial fibrillation. "Once a drug fails, catheter ablation is far better than continuing to pursue more drug trials," said study leader Dr. David Wilber of Loyola University Chicago Stritch School of Medicine, Chicago. Details of the study, which was carried out on patients with an early form of irregular heartbeats condition, called paroxysmal or intermittent atrial fibrillation, have been published in the Journal of the American Medical Association.